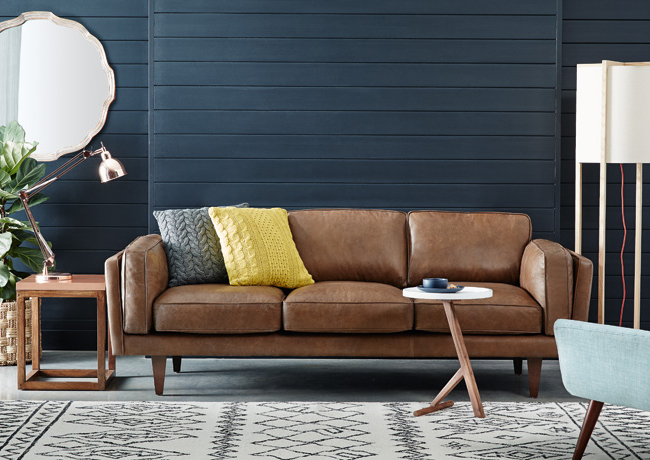 I am so so excited to say that on Sunday, Josh & I made our first couples furniture purchase and it was this super lovely brown leather lounge. It's from the Freedom furniture store and we had fallen in love with it ages ago but had decided that it was a bit over our price range. We stopped by today just to have a quick window shop, as the store is beautiful, sat down once again on our favourite sofa and were super surprised to see that it was on sale! The decision was an easy one, we had picked it out repeatedly and hadn't really felt that way over any other couch so we bought it! 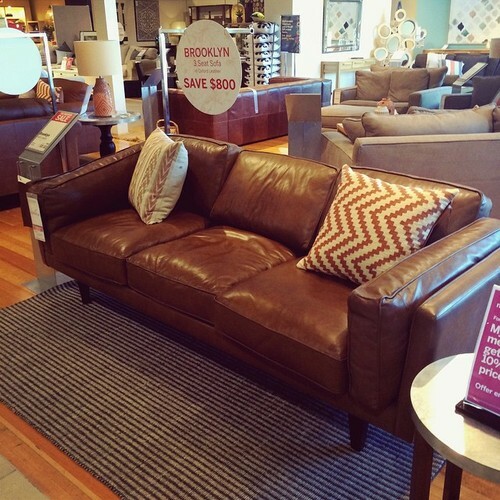 The Brooklyn 3 Seat Sofa in Oxford Tan. It's our first big purchase together and is a great starting point for styling and designing our home so we are just ecstatic. We also joined Freedom's member's club "MyFreedom" for $99 which lasts for 2 years and has a great amount of benefits such as getting 20% off all full priced items as well as $50 giftcards on your birthday! Cheering! I see a lot of Freedom shopping in my future. What do you think? What was the first big ticket item you bought with your partner?? I'd love to hear in the comments! Hey how is this sofa holding up?